Join Master Gardener and soil scientist, Scott Goode, to learn how to use cover crops, mulches and tarping to turn winter and early spring into productive periods in your garden calendar. Save time and money for spring planting by using Goode’s tips on nitrogen fixing winter crops and understanding soil biology. Lovely pumpkin centerpieces were on display at AGC’s general meeting today. Gena Goddard, who made the centerpieces, is offering a member’s only workshop November 14th for Club member’s to make one of their own. See Gena for details. 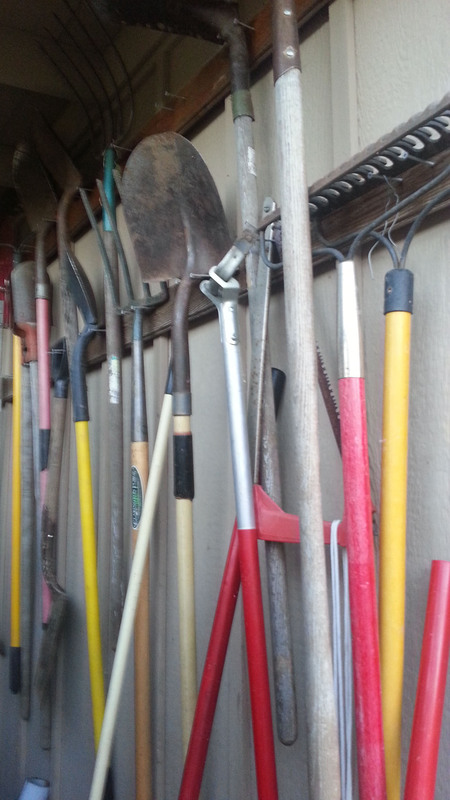 It is almost Spring, so it’s time to get your tools ready for gardening. Gregg and Karen are offering their tool tune up workshop. Workstations will be set up in the barn. We provide sand paper, files, grinders, wire wheels, sanders, walnut and sesame oil for handles. There is also a welder for minor repairs that need to be welded. We’ll have safety glasses and ear plugs, but feel free to bring your own. This is a free community event, however, donations will be accepted.